The biggest problem faced in our country is the passive approach followed in managing our finances and our insurance policies. Most of us expect our finances to manage themselves. This results in a disaster. Can one start a car and expect it to reach the destination itself? No definitely Not? A steering wheel is used for a course correction especially when one is moving along a wrong track. At this time one remembers the famous saying "You Can Never Cross The Ocean Unless You Have The Courage To Lose Sight Of The Shore". Have you ever wondered why a soldier wears a bullet proof vest when he goes to battle no matter how good he is? What about the What If? Term insurance deals with the "What If" one dies young and does not have sufficient wealth left behind for his family. In this hyper inflationary age who would take care of one’s family if one were not around? Does one know how much he should insure himself for? Why Is A Term Insurance Plan So Essential? Life Is What Happens To You When You Are Busy Making Other Plans. The tragic floods of Uttarakhand remind one of the vagaries of life. Imagine not only the loss of life but also the financial loss suffered by all those who lost their prime breadwinners in these floods. Next in line to suffer serious damage were those who were careless in insuring themselves sufficiently. Their term insured amounts would soon come to an end. "Never Leave A Job Half Done" Another commonly followed practice is the art of purchasing a policy and not doing enough about it. Course correction is very essential in that term life insurance policy.What about a change in salary or an increase or decrease in assets or liabilities . Another problem faced among the individuals taking up a term insurance policy is the art of over insuring oneself. Why pay a huge premium for a policy of a sum assured of a Crore when one does not need it. IndianMoney.com always advocates prudence in all financial aspects. 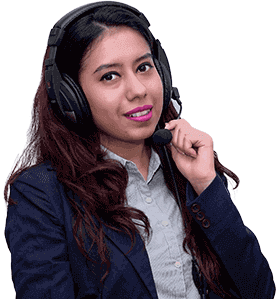 A thorough knowledge of financial products based on a strong platform to deliver this financial knowledge across the nation is lacking in our nation.IndianMoney.com aims to bridge this gap by providing free on call financial advice across the nation. Another problem faced not only in term insurance but all forms of insurance is the " Haste Makes Waste " approach .Never come to the conclusion that a term policy is futile listening to your insurance agents. Always do the ground work yourself. Only once you are convinced that this term policy provides no utility value to you must you surrender this policy. Another important point one needs to note is that continuous switching of one’s term insurance policy might lead to a policy which one might not want. This policy of continuous change results in a state opposite to Charles Darwin’s theory of evolution. Frequent chopping and changing confuses the issue giving one a term policy which one might not want. A major problem faced in India with regard to life insurance is a get more for less approach. One views term insurance as a loss on investment as if one survives the term policy the returns are nil. People consider life insurance in India as an investment .The idea that if they survive the term policy and get no returns for this irks them. One has heard the famous saying "The Road To Success And The Road To Failure Are Almost The Same". So What Does This Mean? Mere effort without a sense of direction and purpose is of no avail. One needs to ask oneself a set of questions before taking up any life insurance plan. Why A Term Insurance Plan? What Are Its Benefits Versus Other Types Of Plans? How Much Should I Insure Myself For? IndianMoney.com strictly emphasis that every Indian who purchases life insurance knows not only about life insurance but also why he is purchasing it. Mis-selling is a rampant disease in our country and causes severe loss not only to customers but also to the insurance sector in general. This is mainly due to a myopic approach followed by insurance agents and certain insurance agencies is that achieving of their targets is the "Be All And End All" of this business.IndianMoney.com believes that if each and every Indian knows about life insurance and its purpose to him the disease of mis-selling of insurance can be eradicated from this nation. This also is a long term approach which could save the life insurance agencies trillions of rupees and improve the state of the economy. The Insurance Laws Amendment Bill 2008 seeks to raise the cap on foreign investment from 26% to 49%. The passing of this bill will inject much needed liquidity into the sector and a suitable environment needs to be created in order to encourage foreign investors into the life insurance market in India.IndianMoney.com also strongly advocates that a term life insurance policy is a must have policy among all the working youth of our country especially those who are at the start of their careers. Term life insurance is a pure protection policy. This is the best form of insurance as it provides a mortality cover at a low cost. Premium rates are coming down and a number of good deals are available on the online channel.IndianMoney.com believes that once you know why the term life insurance plan is vital to your financial interests you will automatically reach for it. I would like to remind you that the team of Financial Planners at IndianMoney.com are always there for you to plan your financial needs in a most effective and efficient manner. You can explore this unique Free Advisory Service just by giving a missed call on 022 6181 6111. One knows that a term insurance plan is mainly a basic protection cover or a mortality cover provided by paying an amount known as premium for a fixed time period. It is plain simple to understand. One survives the term plan there are no survival benefits. If the policy holder dies during this period his dependants get the sum assured .Now since one knows what is term insurance let us understand why one needs such a policy. God forbid if one were to die suddenly at a young age the funeral expenses are quite high nowadays. Who would bear these expenses .One’s spouse would have to bear these expenses and in times of rising costs this is quite high an expense. A term insurance plan helps one to bear this expense. Each and every one of us wants our children to have good schooling and an education. One knows the cost of schooling in a good educational institute runs into thousands of rupees. Who will bear the rising costs of school and college education once one is not around? Now one has to look towards the term insurance plan. Would one like to leave a legacy of debts behind to be repaid by your family? Certainly Not? That term insurance plan can help your family pay off those mortgage debts when you are not around. Certainly Food For Thought. Would one like ones family to alter their lifestyle drastically when the prime bread winner is not around. One might be living in a good housing society where certain standards have to be met and an availability of funds is a must. One knows what happens when the prime breadwinner is lost. When one is not able to match ones set goals and objectives then compromise would be necessary, The proper amount of insurance allows ones family to continue their lifestyle even when the breadwinner is not around. The actual amount that one needs to purchase depends on one’s current lifestyle and an estimate of one’s future needs. Want to prevent your family having to make that compromise after you have gone. Insufficient Coverage In That Term Policy. One knows the results of this Buck Up. Want to know how much term life coverage you need. Just leave a missed call at IndianMoney.com. Let us consider that one plans to retire at 60 Years of age. One is currently 30 Years of age. According to the rule of thumb one deducts ones current age from the planned retirement age. In this case it is 60 Years minus 30 Years which is 30 Years. This translates to a tenure of 30 Years for ones term policy. If one is 30 Years of age and has taken a single term insurance policy with a tenure of 25 years ones policy comes up for renewal when one is 55 Years of age .If ones health condition is bad would one get a renewal. Definitely Not It would be wise to take up another term policy when one is 35 Years of age which would expire when one is 60 Years of age. This way one is covered throughout ones working life. In India Insurance is viewed as an investment and not as a mortality and protection cover. This attitude makes term insurance less popular with the younger generation who are not willing to swallow the fact that if they survive the tenure of the term policy they will get nothing for it. This attitude forces them to take up an Endowment policy which might not be the right thing to do at this age .In order for an Endowment policy to give real returns one needs to stay invested in it for a very long time.Term insurance is the cheapest form of life insurance and in combination with a debt or an equity instrument can give massive returns over a very short period of time. The term insurance policy is best suited for a young individual at the start of his career and becomes a wealth generating option for his family in case something untoward were to happen to him. The term policy can be converted into an Endowment policy with the passage of time especially if a convertibility option is present in these plans. 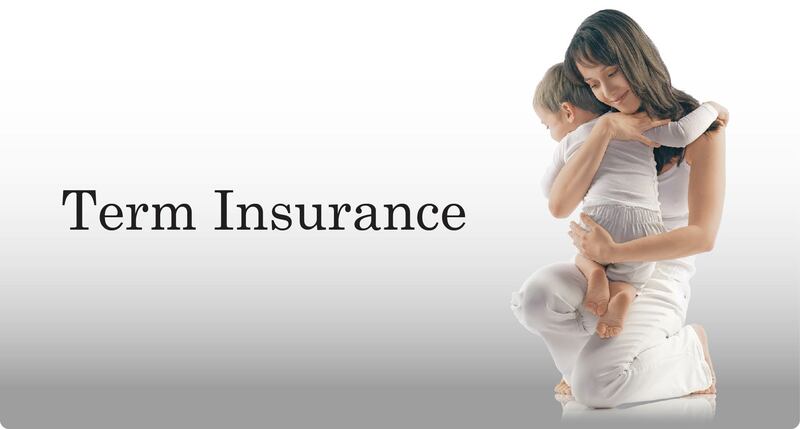 The term insurance plan is very essential for a young working person who has taken a home loan as his family would not be able to bear the liability in case of his early demise. Any sum received under a life insurance policy is tax exempt under clause (10D) of section 10 on the condition that the premium paid for such a policy does not exceed 10% of actual capital sum assured. Term insurance premiums are tax deductible under Section 80 C of the Income Tax Act up to an amount of INR 1 Lakh. I would like to end this article with the famous phrase "You Are Not A Product Of Your Circumstances But A Product Of Your Decisions". Financial decision making is all about being aware and knowing your financial environment. Always know what you are getting into. Look Before You Leap.IndianMoney.com believes in helping you make the right financial decision by making you financially aware of the life insurance products you purchase before you can be tricked or mis-sold a policy. Always make your financial decisions based on the belief that "Knowledge Is Power".